Set in the centre of Paceville, Joe Ann Apartments is a 3-minute walk from lively nightlife at Paceville Piazza square. All self-catering apartments come with an LCD cable TV, free Wi-Fi and a balcony. The EQ 2 Apartments, The Fountain Court Group, Edinburgh, located in the recently revitalized West End district, tower stylishly over the area's network of canals. This property offers a centralized location and is a ten minute walk from an array of local attractions such as Edinburgh Castle, the National Gallery of Scotland and St. Giles' Cathedral, and is 500 meters from the Princes Street shops. Two bedroom apartment with 2 bathrooms with a lift in a quiet street (sleeps up to 6). Amazing views of London. Near London Bridge Station (5 mins walk), River Thames (2 minute walk), Tower Hill Station (8 mins walk), Tower of London (8 mins walk), St Paul's Cathedral (2 tube stops away / 3 mins). Some of the best restaurants in London (3 minutes walk), Oxford Street (6 tube stops / 10 mins). FREE Wi-Fi. Fully equipped kitchen. Fountain Court Harris is located in Edinburgh, Scotland, 800 metres from Edinburgh Castle and Princes Street shopping thoroughfare. The Dynamic Earth exhibition is two miles away and the Royal Yacht Britannia is at a four kilometre distance. 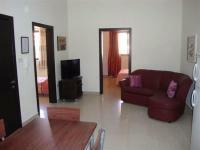 The nearest train station is situated 500 metres from the apartments. Hotel Features. The Seven Apartments offers self-catering accommodation with free Wi-Fi in Paceville, Malta's night-life hot spot. The sandy beach at St George's Bay is just metres away. Located in Mellieha, the Village Apartments is a modern property with a rooftop pool. It offers spacious apartments with a balcony and a fully fitted kitchen. Water's Edge offers 6 Self Catering Apartments with shared use of an outdoor heated swimming pool in Bouley Bay, Jersey. Each apartment consists of 2 bedrooms (1 double en-suite bedroom and 1 twin bedroom), 2 bathrooms, a dining area, living room with sky TV & telephone, and kitchen with dishwasher/dryer, oven & hobs and fridge with freezer. Set right on the seafront, Miranda Apartments are a 5-minute walk from the Sliema's lively restaurants, cafés and shops. All basic studios come with a microwave and fridge. Buses to Malta International Airport stop 100 metres from Apartments. Damiani Apartments, is a modern family-run property in the heart of Bugibba, Malta's largest tourist resort. Here you will find comfortable self-catering studios with free Wi-Fi. Alba Executive Apartments are located in a quiet suburb which lies two miles from the centre of Edinburgh, Scotland's capital city. Edinburgh Castle is two miles from the hotel, and the outstanding neo classical architecture of the 18th century New Town is 2.5 miles away. Hotel Features. These apartments are located in a Victorian sandstone two storey townhouse typical of Edinburgh's leafy suburbs and retain many original features. A really good central London location near Kings Cross station (5 minutes walk). A 2 bedroom apartment with large rooms for plenty of space to relax after a day's sightseeing. There is a separate toilet, bathroom with bath / shower, kitchen and large living room. Walking distance to many nice Restaurants nearby, Takeaways, Coffee Shops, Supermarket and English Pubs are within easy walking distance. The Arinza Apartments are located in Liverpool, England. Two miles from the Walker Art Gallery Two and a half miles from the Albert Dock Seven miles from Liverpool John Lennon Airport Hotel Features. Daily housekeeping Complimentary garage parking Apartments. These apartments are in the centre of St Julians, a vibrant and lively resort. It has some of the Islands best nightlife with a large range of clubs, bars and restaurants. There is a pretty fishing harbour and and swimming at St Georges Bay, 500 metres away. The seafront promenade actually connects the resort to nearby Sliema. La Pointe Farm self-catering apartments on hill in quiet countryside near St Pierre du Bois, St Peter, Guernsey. Sea views. Bus stop outside. Small village centre is approx. 1 mile. Nearby 3 pubs serving food, shops, cafes & Indian restaurant. Set in 11 acres. Lanes and paths popular with walkers. Free Wi-Fi. Free parking. All bed linen & towels provided. Families welcome. Free use of cot/ high chair. BUDGET ACCOMMODATION for Families with Children and groups of friends. 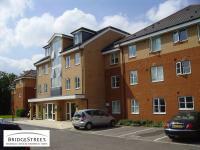 Ideal for self caterers as apartment with equipped kitchen and Sainsbury's supermarket nearby. Excellent for those on budget wanting accommodation in a good location as famous sites such as Buckingham Palace, Big Ben and Westminster Abbey and Victoria Station within walking distance nearby. The Castle Apartments complex in Edinburgh is located eight miles from the Airport and is situated in a medieval court 250 metres from the city's cobbled Royal Mile, 200 meters from the Castle. This property's central location allows guests to visit a number of attractions. The Royal Museum of Scotland, St Giles' Cathedral and Gladstone's Land can be found along the Royal Mile. Valletta Boutique Apartments offers modern air-conditioned apartments with free Wi-Fi set right in front of a rocky beach in La Valletta in Malta. A cinema is found in a shopping centre a 2-minute walk away. St.Thomas Apartments is a family-run property just 300 metres from the clean waters of St. Thomas Bay, ideal for swimming. It features apartments with kitchens, a mini market and swimming pool. Guests at St.
Hotel Burlington offers comfortable and spacious studios and apartments only 100 metres from a Maltese beach and casino. All apartments have private bathroom, balcony and kitchenette, with weekly maid service. The Victorian Royal Court Apartments is located in central London, England, 500 metres from both Kensington Gardens and Paddington Station. The hotel is one mile from the Victoria & Albert Museum, Portobello Road Market and Harrods in Knightsbridge. Hotel Features. Set in a row of eight white stucco townhouses in leafy Bayswater, the turn of the century Royal Court Apartments have a 24 hour front desk. These stylish South Kensington apartments with 24-hour concierge are just 0.4 miles from Earls Court entertainment venue. The shops of Knightsbridge and Chelsea are only a 15-minute walk away. Set in central Valletta, Holiday Apartments Valletta are right in front of St. John's Co-Cathedral and offer free Wi-Fi throughout. The apartments have stylish, modern furnishings. The Premier Apartments Nottingham are located in Nottingham, England, one mile from the city centre and Nottingham Castle. Derby is 15.5 miles away, and Leicester is at a 26.5 mile distance. Nottingham Train Station is situated one mile from the apartments. Hotel Features. Housed in a contemporary design property with bright, white façade, The Premier Apartments Nottingham is spread over seven storeys accessible by elevator. NOW AVAILABLE FOR SHORT LETS !!! Stop gap between moving home or renovation. Plus Holiday Accommodation Gants Hill - Essex Area. Shoppers Westfield Europe's largest shopping centre is only 5 tube stops away !!! SLEEPS up to 5. One bedroom Serviced Apartment. Ideal self catering property apartment popular with short term tenants, groups and families with children. Our Accommodation has fully amenable kitchen. Wi-Fi available. The Aloha Puerto Sol are one bedroom self-catering apartments in Malaga, Spain, situated directly on the waterfront just beside the marina and leading to the beautiful sandy beach of Cariheula. These self-catering apartments in Spain are within a 4 star hotel, are air-conditioned/heated and offer room for up to 4 people. Pueblo Santa Ana is a large 3 bedroom self-catering apartment in Benalmadena Costa del Sol Spain. Just 50 yards from the Santa Ana beach and within walking distance of La Paloma park, mini-golf, Tivoli World, the Marina and Sea Life centre, Pueblo Santa Ana is ideal for family holidays in Spain. The 3 bedrooms sleep 2-8 people (two twins and one double room) and the sofa bed in the lounge sleeps 2. Housed in a Victorian town house, the Somerset Bayswater is a modern property located within one mile of Notting Hill and Portobello Road. The 191 modern guestrooms are decorated in light colours with white fabrics, modern prints and polished wood furnishings. All include kitchenettes with microwaves, cookers, refrigerators, toasters and crockery. Set in Qawra, the Belmont Court offers self-catering apartments with air conditioning and free Wi-Fi. The beach is a 10-minute walk away along the promenade. These stylish apartments are in the city centre, 500 metres from Liverpool Lime Street Rail Station. The modern apartments have free wired internet, flat-screen TVs, DVD players and dishwashers. Bella Vista Apartments is 5 minutes' drive from the beaches on Mellieha Bay. It provides free parking and 2 apartments, both with free Wi-Fi and a furnished balcony overlooking the Mediterranean Sea. Platinum Holiday Apartments offers spacious accommodation with a private, sea-view balcony. Marsaskala Marina is just a few steps away and Malta International Airport is 15 minutes' drive. The Berkeley Park apartments are a modern development set in a private courtyard, within two miles of Heathrow Airport and eight miles from Kew Gardens. The 33 apartments are designed for 1 2 or 2 4 guests and are decorated in soft neutrals with contemporary furnishings, well equipped kitchens and chrome finished bathrooms. Panama Apartments are self-catering apartments in Jersey, within a short walking distance of St Helier town centre and bus station. Panama Apartments are just 250 yards from Havre des Pas promenade and beach. There are 23 self-catering apartments, built and furnished to a very high standard. Ideal for family holidays as children are welcome and cots and high chairs are available on request. The AM Apartments offers rooms and apartments in the Gzira area, about a 10-minute walk from Sliema city centre. A free taxi transfer is available. Rooms at the AM Apartments are simply furnished and come with a TV and a washbasin. Located in Sliema, Rocklands Apartments provides accommodation at two different locations in the city centre. Offering free Wi-Fi and free private parking, the properties are both within 100 metres of the sea. Central London apartments in an ideal, pleasant location overlooking the peaceful Sussex Gardens, the Talbot Square and some of the beautiful views of London. Convenient for all major sights, museums and theatres. Close to all shopping districts; Oxford Street and Piccadilly Circus. Daily serviced, newly built and refurbished suites ranging from Studio, one bedroom and two bedroom apartments. Arrandale Apartments offer modern, self-contained accommodation on the Isle of Man, just a 2-minute drive from the centre of Douglas. St Albans is a city in southern Hertfordshire, England, around 22 miles (35 km) north of central London, which forms the main urban area of the City and District of St Albans. It is a historic market town, and is now a sought-after dormitory town within the London commuter belt. Property prices are notoriously high within the district, which is one of the most expensive in the UK. 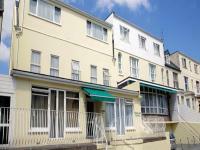 4 star self-catering apartments on the outskirts of St Peter Port in Guernsey. 1 and 2 bedroom self catering apartments. St Peter Port town centre is a 10 minute walk away. Free parking. Bus stop close by. Set within its own grounds and gardens there is a outdoor heated swimming pool (open from May until September) and outdoor games for the children including a climbing frame/swing and a summer house. Free Wi-Fi. Situated in Valletta at the top of Castille Hill, this property offers self-catering accommodation, just a few steps from the Castille Palace and opposite the Barrakka Gardens, overlooking the Grand Harbour. Mount Pleasant Apartments is located in the centre of Liverpool, England. It lies 500 metres from the Albert Dock, a restored area now known for its lively nightlife, and 600 metres from Liverpool Cathedral. Hotel Features. This four storey aparthotel is set in a modern building. There is 24 hour reception cover, wireless Internet is available throughout the property, and parking is available nearby for a surcharge. Apartments. VISITORS TO CAMDEN MARKET/CAMDEN LOCK/STAPLES ANTIQUE MARKET - Our 2 bedroomed apartment is perfect location. In recent years Camden has become a favourite location for musicians. Amy Winehouse lived in Camden Square. For those attending shows at Jazz Café, Koko, MTV studios, Roundhouse, Electric Ballroom this is a perfect spot. This apartment is popular with families, young groups and couples. 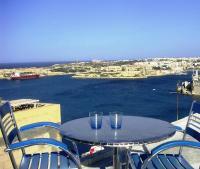 Located a 2-minute walk from picturesque Balluta Bay, Simons Apartments is in central Sliema. It offers free Wi-Fi and spacious modern apartments with a balcony, satellite TV and a fully fitted kitchen. Castletown House is a selection of apartments/studios in West Kensington, London. Offering three star self-catering serviced studios, four star self-catering serviced family studio and larger apartments including one, two and three bedroom apartments. 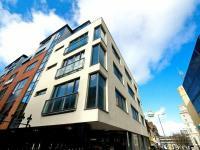 Located in-between Gatwick, Heathrow and Central London. Ideal for all types of guests, including business and leisure breaks.